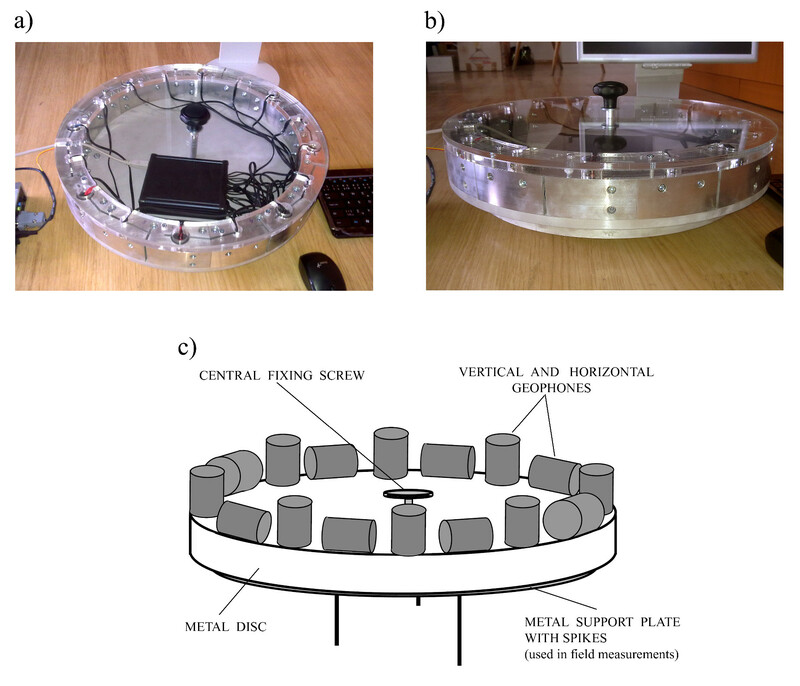 Figure 1: (a) the 6DOF Seismic Sensor Rotaphone-D from above, (b) the 6DOF Seismic Sensor Rotaphone-D - side view, (c) a simplified basic scheme of the instrument. The device consists of 16 geophones (standard sensors widely used in reflection seismology - passive devices which convert seismic vibrations into an electrical signal producing an output voltage which is proportional to the geophone velocity). 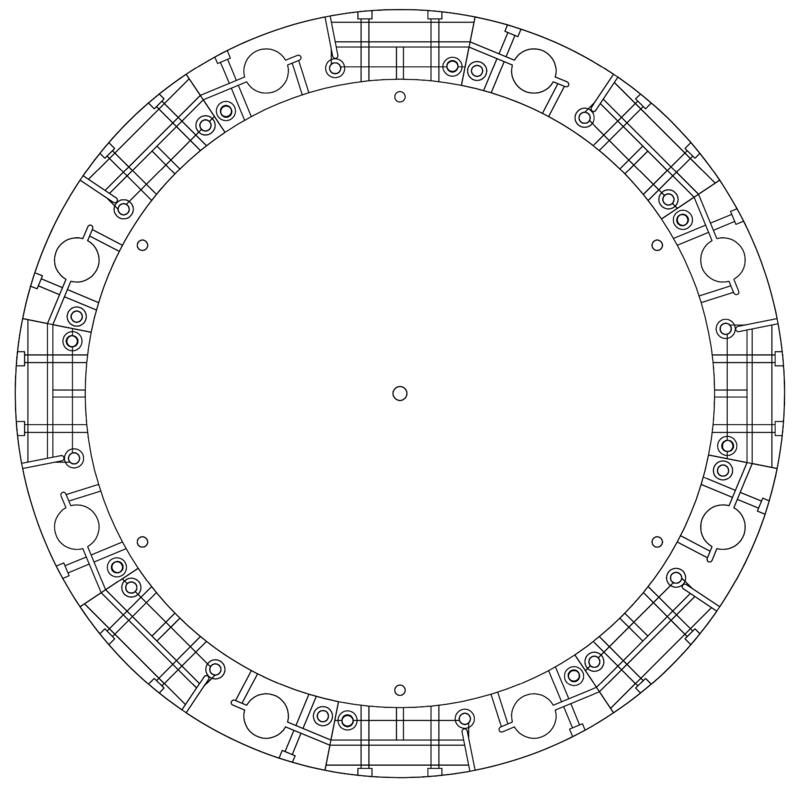 The geophones are mounted near the edge of a massive metal disc. 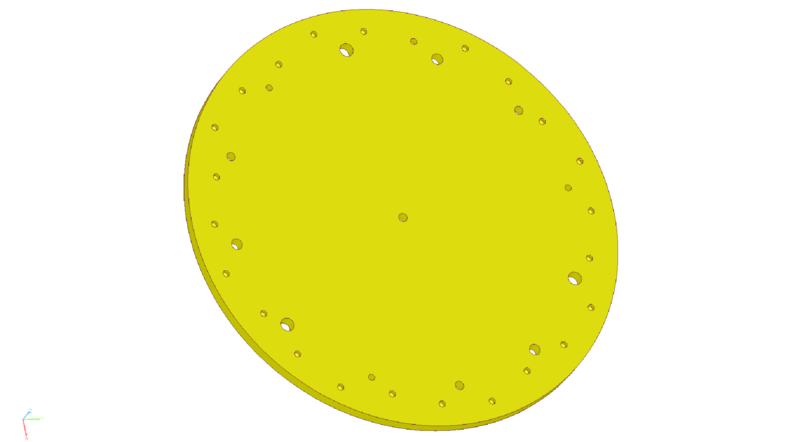 In field measurements, the disc is put on a metal supporting plate anchored to the ground. The supporting plate allows the disc to turn around the vertical axis by exactly 45°, so that after eight rotation increments the individual geophones turn full circle, which is useful when the seismic source is capable of producing identical source pulses repeatedly (e.g. in prospecting measurements). The disc and the supporting metal plate are attached to each other by means of a central fixing screw. The analog outputs from the individual gephones are converted to digital outputs by a 16-channel A/D transducer attached to the disc. The device contains also a GPS antenna used to synchronize time. Figure 2: Drawing of the metal disc with the circumferential segments containing geophone slots (top view). Figure 3: 3D view of the metal disc with the circumferential segments containing geophone slots. 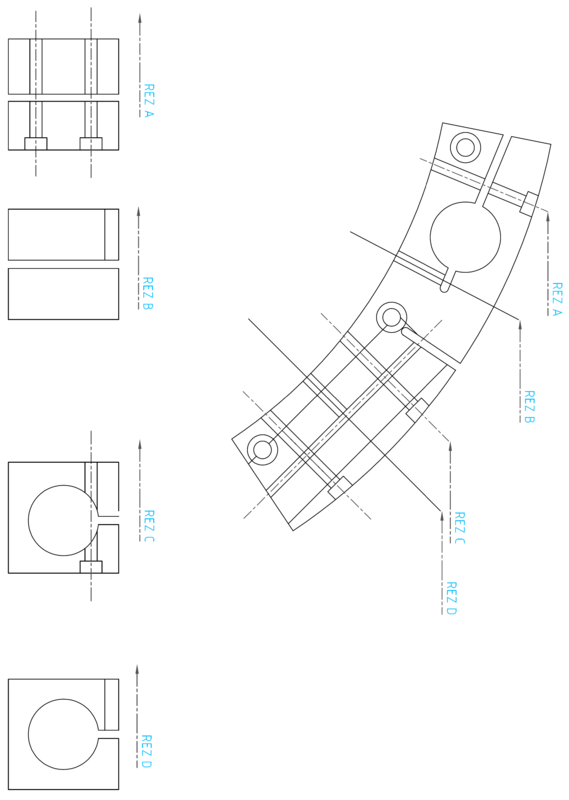 Figure 4: Detailed drawing of one of the circumferential segments with slots for one vertical and one horizontal geophone. 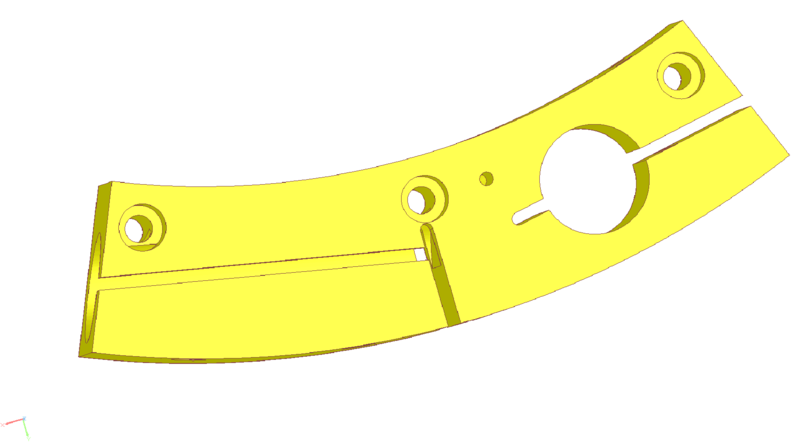 Figure 5: 3D view of one of the circumferential segments with slots for one vertical and one horizontal geophone. 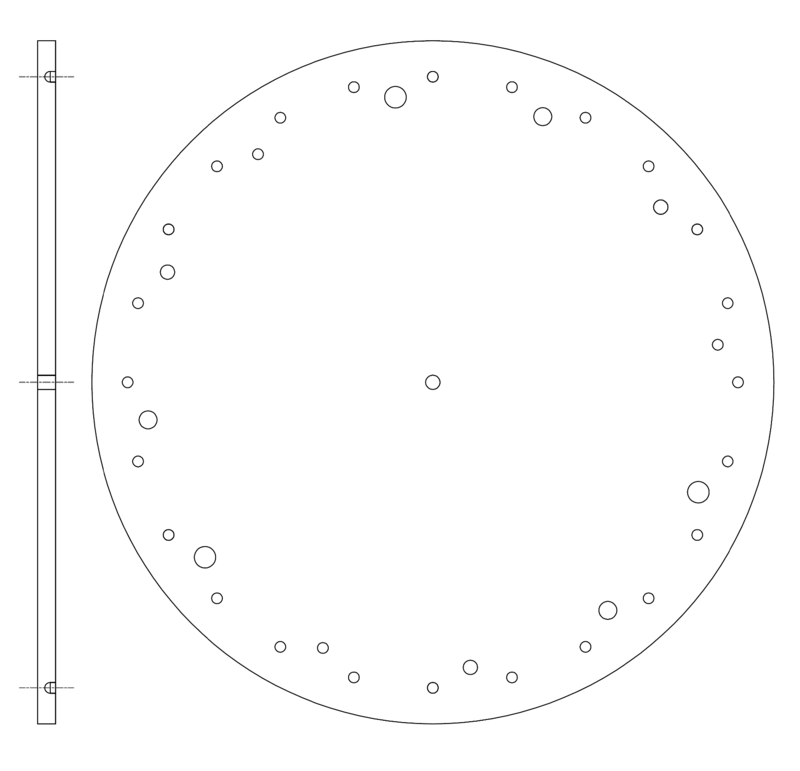 Figure 6: Drawing of the metal support plate with holes and pre-drilled dimples (top view). 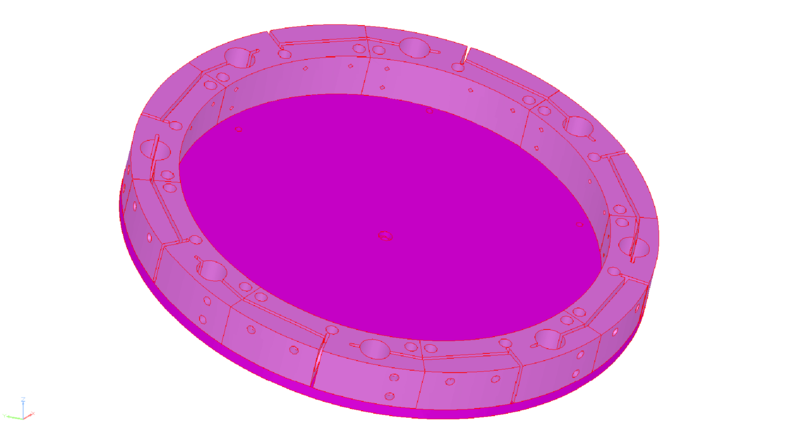 Figure 7: 3D view of the metal support plate with holes and pre-drilled dimples.